I have 6 puppies. they will be ready in 3 weeks. 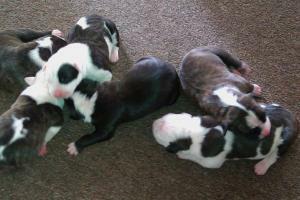 if wanted with shots the puppies will be sold at 450 and without shots it will be 350.